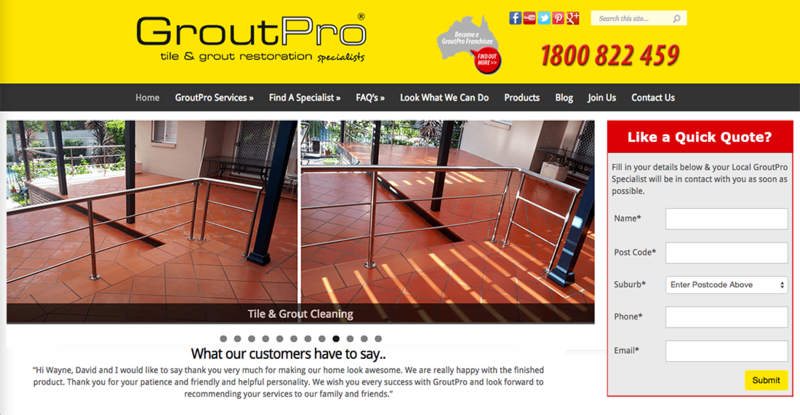 GroutPro based locally on the Gold Coast came to us with a few tasks in mind. Move the server from its foreign location to Australia. Update the client facing website as it was rather dated. Improve on the franchisee web portal. The first stage was a fairly run of the mill process, all of there email accounts were also brought over in the move to be hosted on our local Aussie server. We then began development on their new website which was to be modern and fully mobile responsive. With the existing site built on WordPress, the first step was to get the existing site updated. Several major changes had taken place since this version had been updated. So that in itself was as task, just to bring the already existing website up to a safe and secure state. From there we stripped out the depreciated aspects of the site, removed dead plugins and began almost from scratch on what you see today. Next came the franchisee web portal. The franchisee portal has come a long way. Initially it provided a way for franchisee’s to keep in touch and create quotes and invoices for their clients. It has since become an invaluable point of access to the entire team. The franchisee portal now handles many aspects of the business. Incoming leads are automatically assigned to the responsible franchisees. Including from outside sources such as call centres and other websites. A common drive which allows them to share files and documents with other franchisee’s or head office. Quality assurance system for managing feedback and support between franchisee and clients. That same detailed reporting mentioned above, available to every franchisee to see how they are tracking and identify ways they can improve. All emails are accessible within the portal. No need to run separate mail clients. Every franchisee can access their emails from anywhere in the world. Customisable tracking can be attached to leads/quote & invoices so franchisee can organise their paper work in a way that suites them. 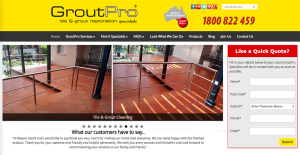 Our working relationship with GroutPro continues to grow from strength to strength and we look forward to what we can provide for them in the future.